Tom and I have just returned from celebrating Canadian Thanksgiving with good friends in Tsawwassen B.C. It was a wonderful weekend of feasting, fellowship and reminiscing. It was an enriching start to my preparation for the coming season of Advent and Christmas which I love to begin with a week of gratitude and thanksgiving. Saturday night we ate turkey, stuffing and gravy with a rich assortment of vegetables, then finished with a scrumptious dessert. I ate until I thought I would never be able to eat again. 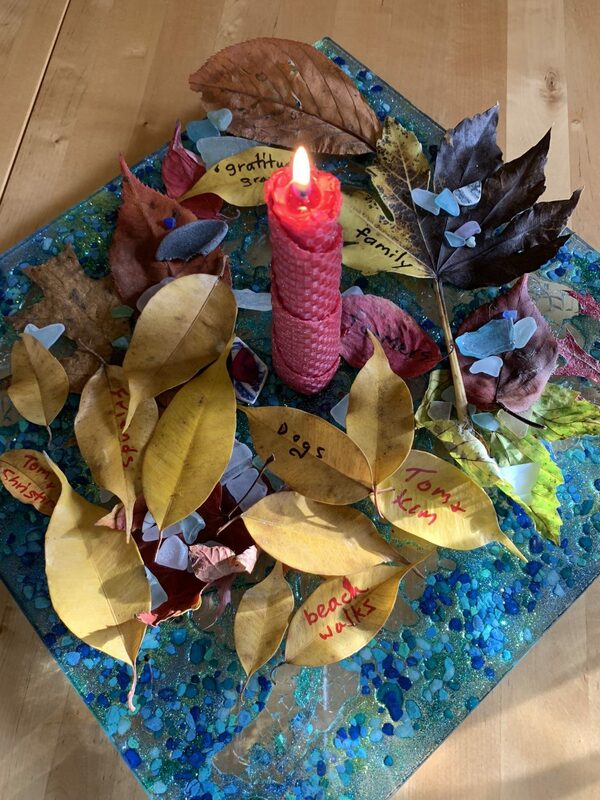 We wrote words of gratitude on leaves around the candle then we shared them and reflected on the delight of the abundance God had blessed us with. It was a feast of a different sort that I think will keep me satisfied for much longer than the food. Maybe I need more than a week of gratitude I thought. Maybe a whole month will help. What I noticed was that the food did not satisfy for long. 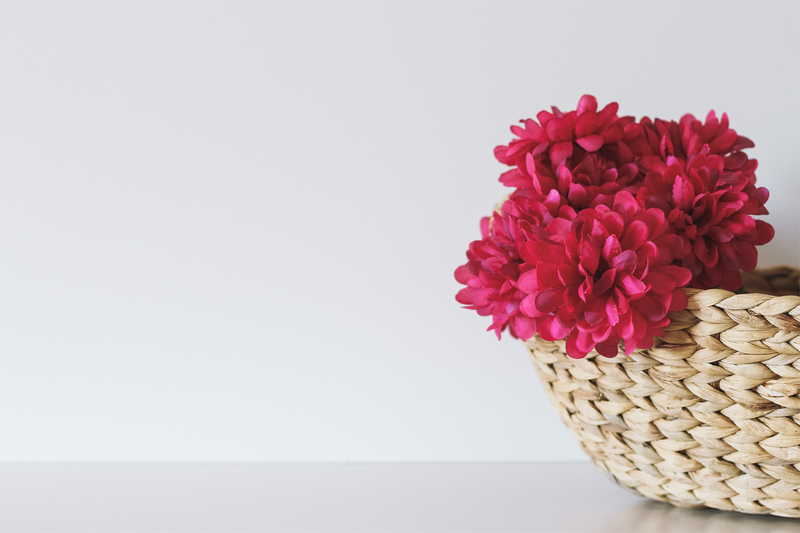 By Sunday morning I was hungry again and relished the scrambled eggs and muffins for breakfast. On Sunday we went to church where the pastor began his sermon with the words “Are you hungry?” And believe it or not my answer was yes. My body was ready for another meal. Then we came to communion, where he talked about the bread that comes down from heaven, and the words in John 6:35 I am the bread that gives life. If you come to My table and eat, you will never go hungry. Believe in Me, and you will never go thirsty. As we drove home to Seattle that afternoon I found myself reflecting on these words. As I start to prepare for Advent and Christmas what am I hungry for? Am I hungry for things that only satisfy for a few hours or days or am I hungry for the bread of life that will satisfy me forever? To be honest it’s probably a bit of both but how do I make the choices to focus predominantly on that which will sustain me through eternity? As I reflected on this, the Christmas story was replayed in my mind. I thought of Mary and Joseph whose hunger to serve God must have made them vulnerable to misunderstanding, even possibly contempt from their friends and family. They were willing to put their lives on the line because they believed God had called them to be family to the coming Messiah. I thought too of the wise men whose hunger for a glimpse of the Messiah had made them drop everything to follow a star, a rather uncertain guide for their hard and probably perilous long journey. They too put their lives on the line – I suspect they had many scary adventures on their journey but their hunger for the bread of life endured. Then my thoughts went to the priests and religious leaders in Jerusalem. They knew where the Messiah was supposed to be born and they listened to the wise men tell of their quest to find this Messiah and worship him. What puzzles me is why they too did not have the hunger in their hearts to follow the wise men to Bethlehem. Had their hunger for the bread of life been sated by wealth and power? Were they afraid of the consequences if they went against their often harsh Roman rulers? Or had they lost their appetite through disillusionment at the slowness of God’s fulfillment? What will it take for me to hunger for the bread of heaven revealed in the birth of Jesus Christ… against all odds, in the coming months? What does my heart hunger for as I prepare for Christmas this year? Like Mary and Joseph, I must believe in the truth of God’s coming Messiah with all my heart and be willing to put everything else aside to come and worship. That I know means taking time to slow down and listen. Christ has already been revealed to me in so many ways yet I still know he wants to be rebirthed in my life. How will I keep that hunger alive as I move towards Christmas? What am I willing to risk to see my hunger satisfied? The wise men risked everything on their journey. They wanted to be changed by their encounter with the Messiah and they did not give up until they knelt before the Christ child and worshipped him. As I look ahead I know it will be easy for me to get distracted or to take my encounter with Jesus for granted. After all I have been a follower of this Christ child for a long time. But there is a hunger in my heart for something new and I pray that hunger will endure. What about you? What does your heart hunger for as you look towards Christmas? Prayerfully consider this. Write down what you sense God is saying to you. What could you do now to make this possible?